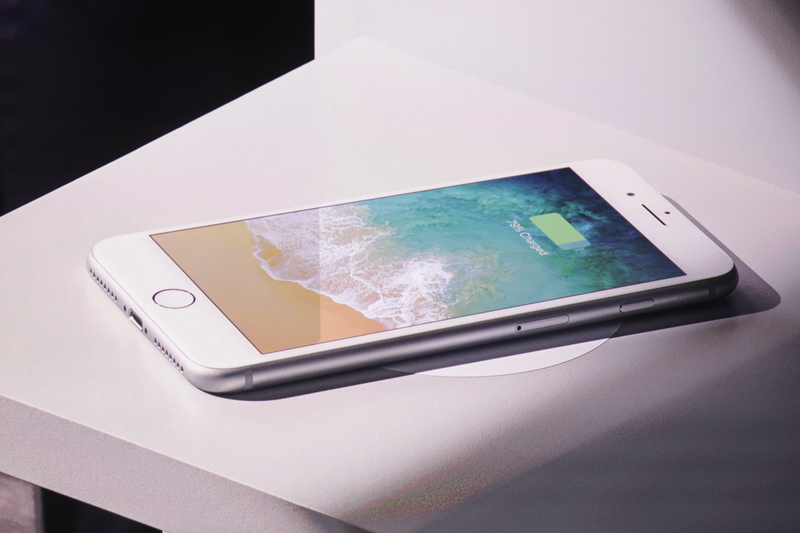 Apple unveiled the iPhone 8 and iPhone 8 Plus at its press event. It looks a lot like the iPhone 7 and 7 Plus, but with a glass back. The iPhone 8 still has a single camera while the 8 Plus has a double camera. It comes in silver, space gray and a new gold finish that looks like a mix between gold and rose gold. These phones are sealed to be water and dust resistant. Apple also announced the iPhone X at the same conference, a new, premium model with a screen that fills the front of the device. Read more in our separate post. There’s a new retina HD display. It has true tone technology like the most recent iPad Pro. It adapts to ambient light. Speakers are 25 percent louder and have deeper bass. Inside, it has an A11 Bionic chip. It is a 64-bit chip with two high-performance cores that are 25 percent faster than the A10 in the iPhone 7, and 4 high-efficiency cores that are 70 percent faster than the ones in the A10 (the A10 only had two high-efficiency cores). The GPU part is 30 percent faster. The camera sensor and processor are brand new. It works better in low light condition, and has some noise reduction technology. The two sensors on the back of the iPhone 8 Plus are f1.8 and f2.8 apertures — it is brighter than the iPhone 7 Plus. There are new color filters too, which should make colors pop more, according to SVP of Worldwide Marketing Phil Schiller.